LDAP is dependent on the LDAP extension in PHP, so it has to load the LDAP extension first. Please refer to Chapter 2.3 Install LDAP extension. By configuring LDAP, auto login to LDAP server is integrated with Zdoo. 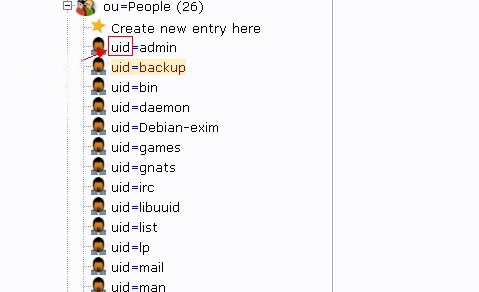 User accounts can also be imported from LDAP to Zdoo. Click LDAP and you will see the page to do LDAP settings. If the configuration is successful and correct, you can use the LDAP user name and password to log in and ZenTao will automatically verify the login and add the user to its database. Check Anonymous, admin account and password will be hidden. Then you do not have to fill that in. Select “Active Directory" in Server Type. Because the active directory does not allow anonymous login, so you have to fill in the Admin account and password. Note: The admin account must have privileges to do administration on this domain, otherwise it might be an error when you request the data.